The 23andMe Your Connection feature compares your reports with the reports of the person with whom you are sharing. If you try to view a report that is not available for the product type of the profile you are viewing, you will see that the report listed is Not Available. A sample must be processed and the data loaded into the account before the reports are ready to view. If an individual's reports are not ready to view or if the individual has not logged in to view their own reports, the report will be listed as Not Available. If you have your reports but the person with whom you are sharing does not, he or she will be able to see your reports in the Your Connections feature. Once his or her reports are ready and he or she has viewed the reports, you will then be able to view them within the Your Connections feature. Carrier Status reports require an additional opt-in step in order to view the information in these reports. You or the person with whom you are sharing can opt in or out of these reports at any time. If an individual has opted out of the Carrier Status reports, the report will be listed as Not Available in the Your Connections feature. If you opted out of the reports by accident, you can change your consent option here. A user’s product version may not be compatible with the report because of the genotyping chip used to analyze his or her sample or because he or she is on a different version of our product. When establishing a sharing connection with another individual, you have the option to share ancestry reports only or both ancestry and health reports. 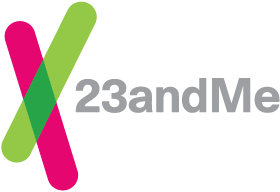 If you are sharing at the Ancestry Only level with another 23andMe genotyped member, you will only be able to compare your ancestry-related reports. You will see an option to change your sharing status to Health in the health comparison section of the Your Connections feature.